Cambridge, UK and Pittsford, NY – 16 April 2014: CAD hobbyists and small businesses can now benefit from the latest version of CAD Schroer’s free drafting package for Windows and Linux, released just months after its commercial counterpart. 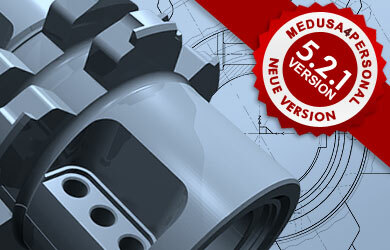 MEDUSA4 Personal 5.2.1 includes an update to the excellent CADConvert DXF/DWG interface for importing CAD data in DXF/DWG format up to the latest version. The software now also runs on Windows 8 Pro and 8.1 Pro. 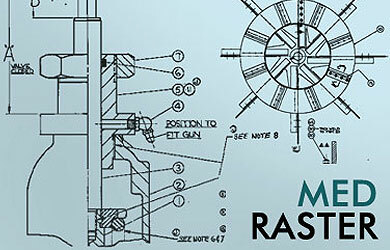 The MEDRaster module for integrating and editing images in CAD sheets now benefits from the latest raster editing technology supported by ImageMagick®. Raster editing performance has been further improved as a result, and there is a new option for saving sheets as black and white TIFFs. Further enhancements in the Smart Drafting Tool for dynamic design editing in MEDUSA4 5.2.1 include new functionality for creating perpendicular arcs relative to the previous line segment drawn. Dimensioning enhancements include new options for dimension text positioning and formatting of unscaled dimensions. 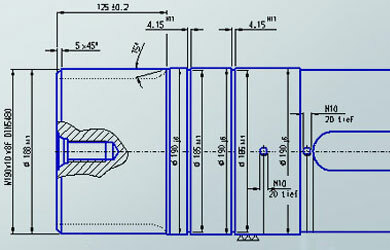 The free high end CAD suite, which was launched in 2006, is used by hobby engineers and professionals in 165 countries. Updates and new versions are released regularly.